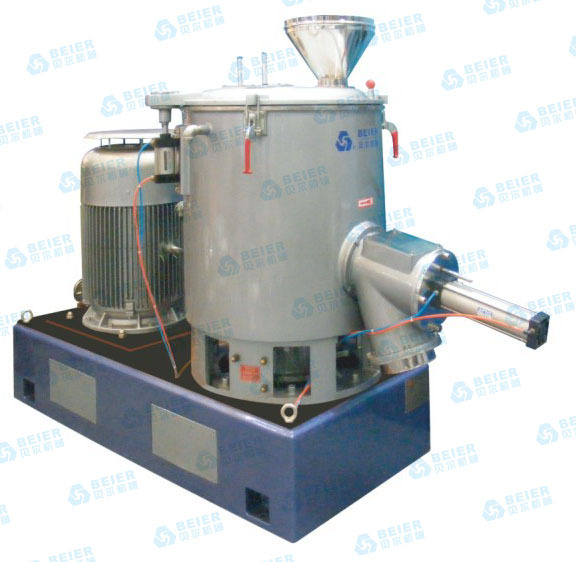 SHR series high-speed mixer adopt advanced design and can be operated easily.safely and reliably.They have small size,light,weight high efficiency,low energy consumption and low noise.It is an ideal choice for you to buy such devices. 1. High-speed Mixer is used for mixing, tumbling, drying and coloring of all kinds of material in plastic, rubber, daily chemical industries. 2. The pot cover has applied double sealing. 3. It has applied self friction and electrical heating methods. 4. Discharging of material includes two types, temperature automatic control and manual control. 5. The blade is made of whole cast stainless steel and passed dynamic and motionless balance tests. 6. Electrical control has applied famous brands (optional) parts.